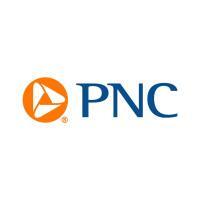 At PNC, our people are our greatest differentiator and competitive advantage in the markets we serve. We are all united in delivering the best experience for our customers. As a Branch Sales & Service Associate you will spend most of your time as a personal banker, engaging customers in sales conversations to introduce and promote appropriate products and financial solutions to every client. In this retail banking role, you will identify and act on opportunities to strengthen customer relationships through a defined sales process. You will make outbound calls, engage with customers in our retail branches, and educate clients on financial wellness. A Branch Sales & Service Associate helps to ensure customer financial needs are consistently met through discussions about PNC products, retail banking services, and digital technology. As a Branch Sales & Service Associate I, you will deliver a personalized banking experience by engaging our clients and the communities we serve. This position will be based in Cincinnati, OH at branches in Northern Kentucky and Greater Cincinnati.